Coverings Update – LIVE from the show! On Wednesday, April 17, 2012, Mark Johnson, FAIA will be hosting kbtribechat LIVE from Coverings – The Ultimate Tile + Stone Experience. He and his panel will be reporting back with the latest from the show. Our discussion will take place from 2 – 3 pm eastern time. Join us! Home-grown Southern Kitchen & Bathroom Design/Consultation- Musings and activities from our day. Wife, stepmom, friend, and Jersey Girl living in the South. 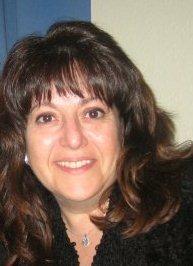 Principal of O’Reilly- DePalma. Able to see life as amusing roughly 80% of the time. Hand painted artisan decorative tiles and hand crafted cement tiles. Tweeting as Bill Buyok. Elevate spaces with Crossville’s porcelain tile, natural stone, glass, metal & mosaic collections—beautifully designed, environmentally friendly, American made. Here is the transcript from this chat.